Vertigo is a condition in which when the child sits or stands still, their vision continues to spin. It will appear to the child as if he or she is on a merry-go-round, except they are not moving physically, only their vision. While vertigo may be uncomfortable, the condition itself is not life threatening. However, vertigo may be caused by an underlying condition that can be serious. Treating a child who is afflicted with vertigo will depend on the underlying cause, as well as the severity. When a vertigo attack begins, the child should lie down in a dark, quiet room where the spinning sensation and nausea can be reduced. If the child is under a great deal of anxiety, this can make vertigo worse, and in some cases medication may be needed. The internal ear plays an important role in the ability of the body to maintain its balance. It does this by sensing the position of the body and head, as well as motion. The internal ear will also work in conjunction with the eyes, and balance signals will be transmitted to the brain which will help the body remain balanced. There are many potential causes for vertigo, and if the internal ear of a child is damaged, their brain may be receiving incorrect signals which will cause problems. 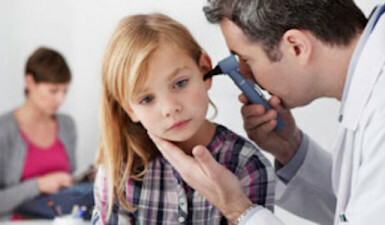 Some of the most common issues which cause damage to the internal ear include colds, infections or allergies. They can create a collection of fluid within the Eustachian tube, which connects the ear to the sinuses. Another condition called Labyrinthitis is caused by a virus which infects the internal ear. What are the benefits of vertigo treatment? What are the risks associated with vertigo treatment? Vertigo is simple to treat and as such there are few risks associated with it. However, antihistamines and motion sickness medications do have side effects, and children may become drowsy, dizzy, constipated or their vision may become blurred. It is important for parents who give these medications to their children to exercise caution, and always take the medicine as directed by their doctor. What do the post-care procedures entail? After a child is treated for vertigo, parents should avoid allowing them to engage in activities that necessitate coordination and balance until their vertigo has subsided. Some examples of such activities include riding on a bike and scooter, skateboarding or roller skating. Contact ENT for Children if the vertigo persists, or it is accompanied by a fever, ear ache, hearing loss, headache, ringing in the ears or the child is unable to move or their behavior changes dramatically.